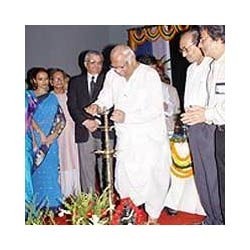 Honorable Speaker Shri Somnath Chatterjee at the Inaugural function of awareness programme. 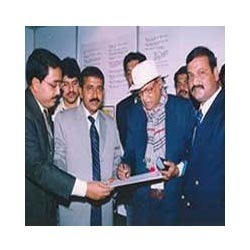 Honorable Transport Minister Shri Subhash Chakraborty at Danver's stall at the Radiation Awareness Programme held at Kolkata. 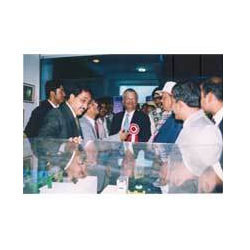 Dr. Anil Kakodkar, Chairman DAE at Danver's stall at the Radiation Awareness Programme. 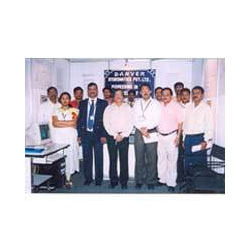 Sri J.K.Ghosh, CEO BRIT/BARC with Danver's staff.